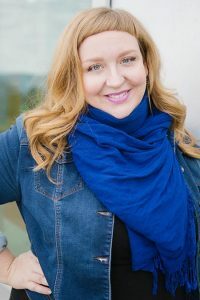 Today, with over 15 years of professional experience, she is a seasoned facilitator, certified assertiveness coach and experiential educator specializing in empowerment, sexuality, social justice, healthy relationships, body image and self-esteem. Anna is of Métis of the Cree, Ojibwe, Lakota First Nations, French, Celtic and German heritage, and is dedicated to creating a safe, diverse and inclusive environment in which to educate, energize and inspire. Her favorite thing to do in the entire world is facilitation that incorporates her love for theatre, art, music, nature, talking circles and people. Could we find a better match for iGirl and iMatter? !